A county-wide system reached out last year as they were struggling to understand the breadth of their professional development activities across instructional staff, school leadership and district administrators. 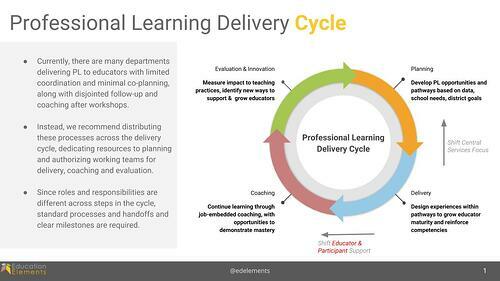 They knew that multiple departments were mandating and delivering Professional Development (PD), decisions were being made at both the school and district levels, and that there was a lack of consistency in the measures of success of these experiences. They were seeking an external partner to guide their team through complex redesign conversations, provide leading practices and approaches pulled from successful professional development programs (from education and from other industries). 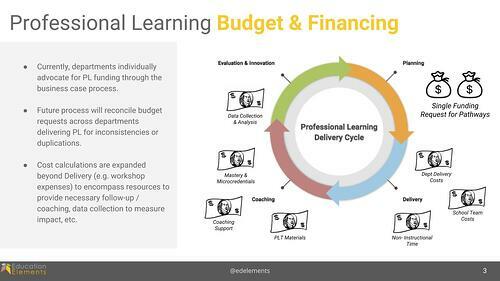 We were hired to collaboratively design a new Professional Learning system for staff, which included rethinking funding models, organizational design, processes, and evaluation metrics. But, redesign efforts are typically complex and many times ineffective, especially when change is perceived as being done "to" stakeholders, as opposed to "with" stakeholders. 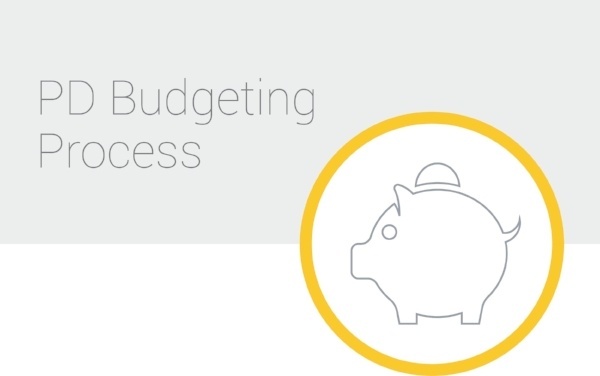 We needed to roll up our sleeves and quickly jump into the trenches with our client partners to understand their context, identify opportunities and build a plan of attack. 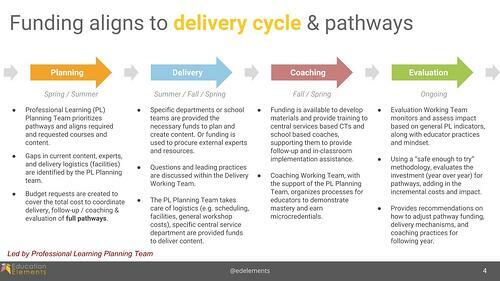 Based on these priorities, we worked with the district and developed a roadmap to guide communications, manage change, organize teams and set expectations for new Professional Learning Experiences. The roadmap represents a set of initiatives to close gaps to achieve their future vision for Professional Learning - along with incorporating activities to push the envelope and innovate the way Professional Learning is supported throughout the year in schools and in classrooms. "Planning should inspire change. Getting into the habit of planning together helps teams realize- we can do this!"